The latest data on rates of tuberculosis again give reason to celebrate, with continued decline in England now reaching the lowest level since records began. Significant inequalities in the rate of TB persist, with the most deprived 10% of the population experiencing a rate 7 times higher than the least deprived 10%. Furthermore, people born outside the UK experience a rate 13 times higher than people born in the UK. Nearly 13% of people notified with TB in 2017 had at least one social risk factor (SRF) – the highest proportion since data collection began in 2010. These people are part of the group described as the under-served population (USP), and rates of TB continue to increase in this group. Innovative approaches are crucial in effectively tackling increasing TB rates in USPs. 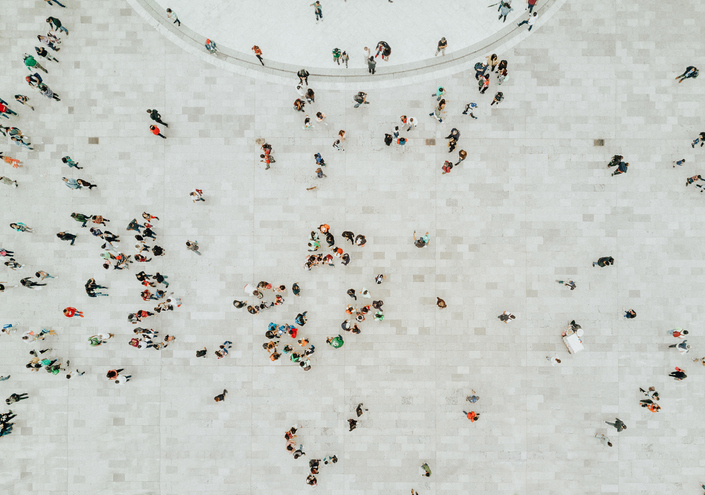 The success of this hinges on collaboration between health sector organisations, as well as local government, social care, housing, justice, NHS commissioners, the third sector, and voluntary groups. Working closely with these partners, PHE has recently made some key advancements in addressing TB in USPs. Some of these have focused on the prison setting, where both people in prison and prison officials experience higher rates of TB. This is due to the environmental conditions, as well as people in prison experiencing a greater number of the SRFs identified above, contributing to a higher risk of infection transmission. 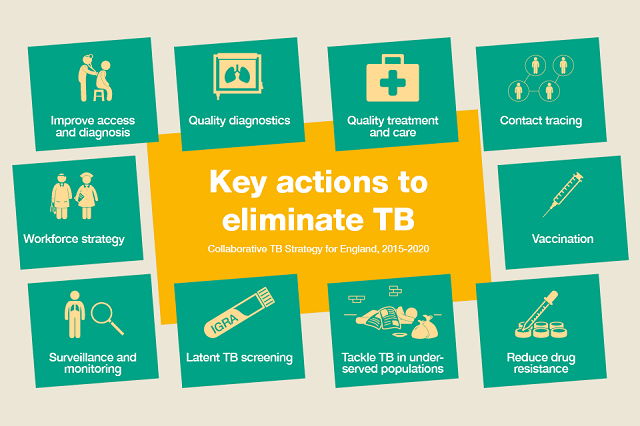 This approach supports the strategic targets in PHE and NHS England’s Collaborative Tuberculosis Strategy for England 2015 to 2020, as well as the World Health Organization (WHO)’s End TB Strategy, which aims to reduce TB deaths by 95% and cut new cases by 90% between 2015 and 2035. In January 2019, the second edition of Tackling tuberculosis in under-served populations – a resource for Tuberculosis Control Boards (TBCBs) and their partners – was published. In the two years since the first edition, work has been taken forward by TBCBs and their partners to improve diagnosis, treatment and prevention of TB among USPs. This new edition provides new exemplars of best practice, updated epidemiological information on the prevalence of infection, and new advice for specific groups. The aim is for this resource to help local communities, public health, the NHS and wider local system leaders to focus their activities in specific areas and with particular groups of people. Recently an innovative pilot project to screen for latent TB infection (LTBI) was delivered in HMP Huntercombe by the prison healthcare team, PHE, prison staff and the Find and Treat team (an outreach service, based out of University College London). . The pilot tested for latent TB along with BBVs, a range of vaccines and a Well-Man programme. Commissioned by NHS England in partnership with PHE and Her Majesty’s Prison and Probation Service (HMPPS) this initiative screened 400 men. This work was a breakthrough in progressing NICE recommendations and a leading model of outreach that will achieve greater coverage of LTBI diagnosis and treatment in the long-term. Ultimately, this will have a greater public health benefit to the wider community – not just those in the prison setting. PHE’s Health and Justice team commissioned the National Prison Radio (NPR) – the world’s first national radio station for prisoners – to develop a campaign to raise awareness about TB amongst people that live and work in prisons. It consists of a 50 minute programme about the symptoms and treatment of TB, which is supplemented by shorter TB info-adverts that will be run over the next few months. It is important that public healthcare workers in prisons are aware of this campaign, so that they can inform front-line healthcare professionals in prisons, who in turn, can use this opportunity to raise awareness on TB among the people in prison and prison staff. PHE has revised and released three leaflets on TB for people held in prison and one for prison staff. One leaflet provides general information on TB and aims to raise awareness amongst all people in prison, and the second leaflet contains information regarding treatment and management of TB for diagnosed patients. The third leaflet targets non-clinical prison staff and provides information about TB symptoms, testing and treating, as well as how to support the individuals who have been diagnosed with the disease in prisons. The NHS Lincolnshire Tuberculosis Team is delivering a novel approach to reaching and caring for the USPs with TB in their rural areas. All care is delivered by a TB nurse from a car that is equipped to replicate the clinic setting, so that clinical and physical assessments, routine blood tests, sputums and weight can be taken. Within 20 minutes of notification of a patient, the team puts a rapid response plan into action to engage with the patient, maintain contact, promote a trusting relationship, and develop communication skills to overcome language barriers. During the three times they meet each week, the team can provide patients with an interpretation service, a packed lunch in the absence of paid incentives, food parcels, and transportation to hospital consultant appointments. This is a leading example of being innovative with assets that already exist to deliver patient centred care, which helps overcome the challenges of a lack of trust in authority and lack of engagement with services often apparent in USPs. This, in turn, protects the health of the wider community. The recent advancements that PHE and partners have made in tackling TB in USPs are world leading, unique, and most importantly, inclusive public health in action. As PHE’s Health and Justice team is a designated working as a WHO collaborating centre for in the Health in Prisons Programme, other countries across the WHO European region and beyond are looking to us for models of good practice and public health leadership. With the WHO aiming to eliminate TB worldwide, it is crucial that we continue to collaborate with and support these countries, and refocus our collective efforts to ensure a strong multi-sectorial approach to TB control. We also have an edition of Health Matters – PHE’s professional resource – on TB, which you can read here. Excellent blog today !. Thanks once again Duncan! A good example for other countries, particularly the underdeveloped. USP: "circumstances, language, culture or lifestyle": By the way, what do you mean by "circumstances"? Would it be their social class position? Dear Felix, firstly thank you for reading these, and for your question. The Collaborative Tuberculosis Strategy for England 2015 to 2020 defines USPs as ‘individuals whose social circumstances, language, culture or lifestyle (or those of their parents or carers) make it difficult to recognise the clinical onset of TB; access diagnostic and treatment services; self-administer treatment; or attend regular appointments for clinical follow-up. I hope that helps and should you want any further clarification please do let us know.